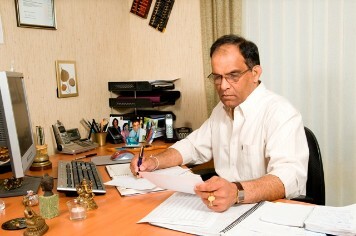 This is me in my office where my clients meet me for face-to-face consultations. I enjoy sitting here to talk to clients and to study horoscopes. 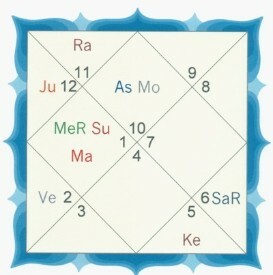 Horoscope - The Birth Chart has 12 houses assigned for the 12 zodiac signs (Aries to Pisces).. 9 planets (Sun, Moon etc.) 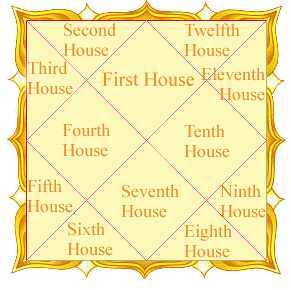 those houses can tell an Astrologer a lot about you. Can you see two fish? This is the symbol for the zodiac sign Pisces. Below that is the 1st zodiac sign Aries, then anticlockwise Taurus, Gemini, Cancer, Leo, Libra, Scorpio, Sagittarius, Capricorn, Aquarius and the 12th sign Pisces with the two fish. 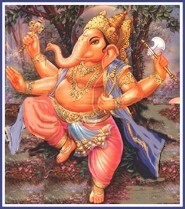 What is your zodiac sign in Vedic Astrology? 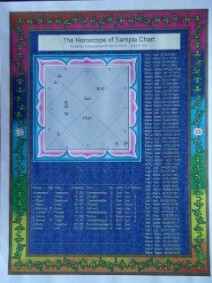 It is not possible to determine your Vedic sign without casting the horoscope. For example, your star sign in Vedic Astrology is not necessarily the same as your star sign in western astrology. Sun, Moon, Mars, Mercury, Jupiter, Venus and Saturn. 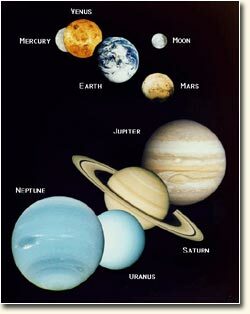 We do not use Uranus and Neptune. This is because they were only discovered recently. 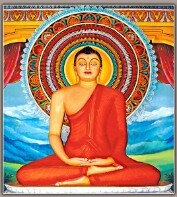 Listen to this powerful Mantra given below.